Sunday, April 28, 2019 | 3:00 P.M. Led by acclaimed violinist Marc Destrubé, the season comes to an exhilarating close in a rediscovery of music from the cities and courts of Frederick the Great. Telemann’s Ouverture will feature baroque dancer Paige Whitley-Bauguess. Canadian violinist MARC DESTRUBÉ is equally at home as a soloist, chamber musician, concertmaster, and director/conductor of orchestras and divides his time between performances of the standard repertoire on modern instruments, and performing baroque and classical music on period instruments. His teachers included Harry Cawood, David Zafer, Steven Staryk, the great Hungarian pedagogue and quartet leader Sandor Végh, and Norbert Brainin of the Amadeus Quartet. Destrubé is first violinist with the Axelrod String Quartet, quartet-in-residence at the Smithsonian Institution in Washington D.C., playing on the museum’s exceptional collection of Stradivari and Amati instruments. As a concertmaster he has played under Sir Simon Rattle, Kent Nagano, Helmuth Rilling, Christopher Hogwood, Philippe Herreweghe, Gustav Leonhardt and Frans Brüggen. He is co-concertmaster of the Orchestra of the 18th Century, with whom he has toured the major concert halls and festivals of Europe, North America, Asia and Australia, including directing the orchestra in performances at Beijing’s National Centre for the Performing Arts and appearing as soloist in Haydn’s Sinfonia Concertante in concerts in The Netherlands, Austria, and Belgium for the Haydn year. He was concertmaster of the CBC Radio Orchestra from 1996 to 2002, and is concertmaster of the Oregon Bach Festival Orchestra. A highly respected teacher, Destrubé has been a visiting artist/faculty at the Paris, Moscow and Utrecht Conservatoires, Indiana University, Case Western University, Australian National University, Sydney Conservatorium, the MacPhail School, the Banff Centre, and the University of Victoria. 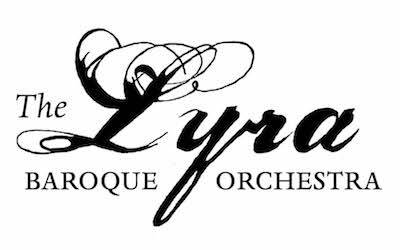 He is artistic director of the Pacific Baroque Festival (Victoria, Canada), and Artistic Advisor to the New York City ensemble Dorian Baroque. Paige Whitley-Bauguess interprets, recreates, and performs Baroque theatre dance in venues all over the world. A recent presenter wrote, “what [she does] is excellent – artistic, interesting, historic – and downright exciting not to mention fun…one could not ask for more” (Steven Cooksey, Shenandoah University). She is co-director of the Baroque Arts Project with Barry Bauguess and producer of two baroque dance DVDs: Introduction to Baroque Dance-Dance Types and Dance of the French Baroque Theatre featuring artistic collaborations with Thomas Baird. Paige has stage directed baroque operas for festivals and universities in the US and has given masterclasses and workshops at universities, museums, and historical sites in the US, Canada, and Japan. She is a former member of the NY Baroque Dance Company and holds an MA in Dance History from the University of California at Riverside and a BFA in Ballet from the NC School of the Arts. Paige can be reached at paige@baroquedance.com.